5-pc Kitchen Knife Set | All Stainless | Fish Belly Shape Handle(KET-105) - Keywood International Inc. 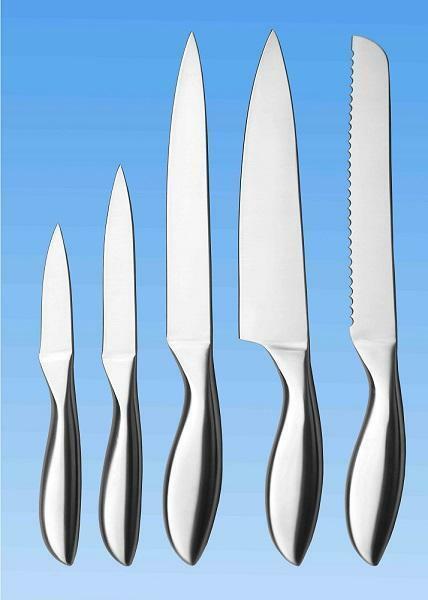 This 5-piece cutlery knife set is composed of all stainless steel design for a mono-chrome, silver display. This forged knife set is with streamline handle shape. It has a nice, luxury look and also is good to grip.